Jenn Shurkus has brought some great designers (and friends) together for a fabulous Christmas in July blog hop! For those of you who may not know me or my company, my name is Tifany and I own Ink Blot Shop. I design clear stamps (made in the USA) for card making, Bible art journaling, bullet journaling, and more. If you aren't already following Ink Blot Shop, please be sure to follow along on the @InkBlotShop Instagram account and the Ink Blot Shop Facebook page. For both cards, I used the Peas on Earth stamp set (without the peas). I am not a fan of red, so my Christmas cards generally tend toward non-traditional colors. 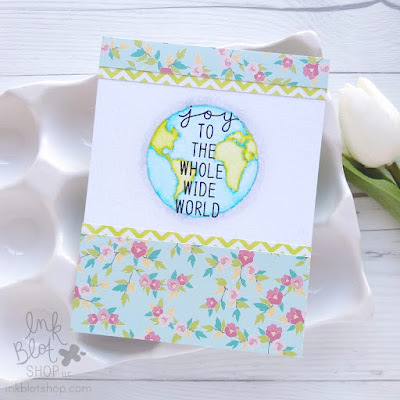 I used the same basic layout (the sentiment over the globe) for both cards, but decided to add a little extra pizzazz to one by turning it into a shaker card. I heat embossed the sentiment on both cards to help it pop. If you want to see another card design using the same Peas on Earth stamp set (this time with the peas), you can check it out here. And here are two more cards created by Jenn Shurkus for you to check out. Although it was definitely a creative challenge for me to create Christmas cards in the middle of the summer, it was really fun to stretch myself and I hope you will give it a shot, too. 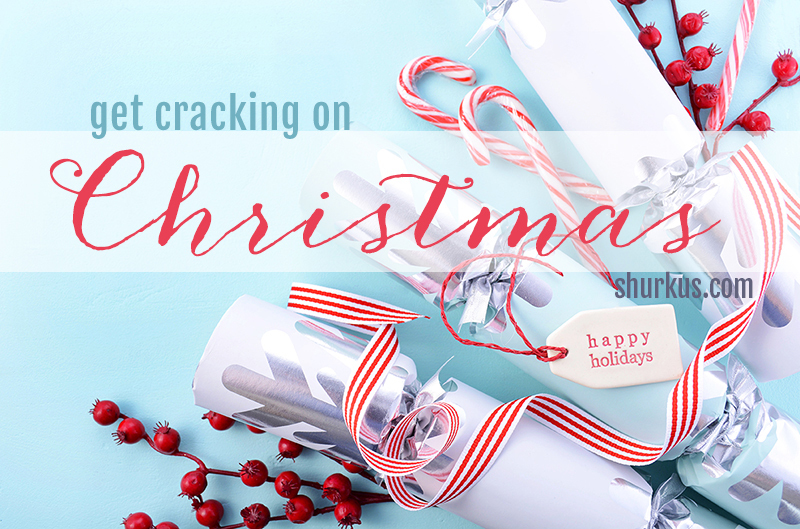 If you do, please be sure to use #GetCrackingOnChristmas on your social media posts. 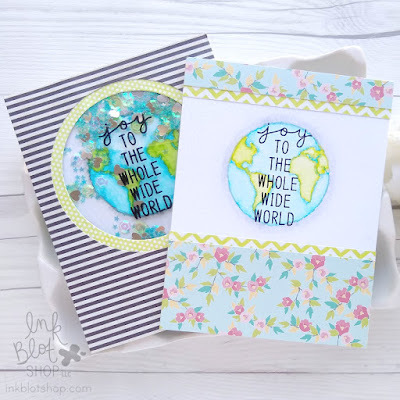 Would you like to win the Peas on Earth stamp set that was used on my cards today? You can! Leave a comment on this blog post. That's it! If you would like additional chances to win: Comment on any of the posts associated with this particular giveaway on the Ink Blot Shop Facebook page and/or the @InkBlotShop Instagram account. Rules of this giveaway: Blog comments for the giveaway will close Monday, July 23rd @ 11:59pm (Eastern) and the winner will be announced Thursday, July 26th on the Ink Blots by TRD blog. - The winner will have 48 hours to contact me with their information. - Due to shipping costs, giveaways are available to US mailing addresses only. Please remember to check back to see if you've won. Disclaimer: This giveaway is in no way sponsored, endorsed or administered by, or associated with, Facebook, Instagram, Pinterest, or Twitter. After leaving a comment, be sure to hop on over to Jana Millen's site to continue on the hop. Thanks for stopping by today! Get cracking!